Embattled former CEO Marion “Suge” Knight can't seem to keep himself out of trouble. But considering he was recently arrested for assault with a deadly weapon, taken to court for child support, and facing a $6 million tax lien, he can mark this latest run in with the law as a slight win. 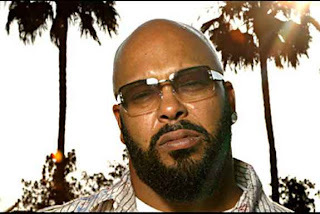 According to TMZ sources, the former Death Row head was pulled over in L.A. around 3 AM for a traffic violation when police realized he was driving on a suspended license. The cops put Knight in the back seat of a patrol car while they rifled threw his car and belongings. After the search came up empty, Knight was given a ticket for driving with a suspended license and released. This will add another court date to the already hefty judicial schedule for Knight. As recently reported, Suge is suing Kanye West for $1 million after he was shot in the femur during a 2005 VMA Awards after party that Kanye was hosting. After a failure to mediate the matter last month, the case could go to trial. In July an arrest warrant was put out on Knight for missing a court date for, ironically, driving on a suspended license.